There’s no better way to warm up from the cold than with a cup of hot cocoa or a hot apple cider. Provide that luxury at your next winter event, with the frosty imagery of this blue and green Winter Festival Drink Tickets. 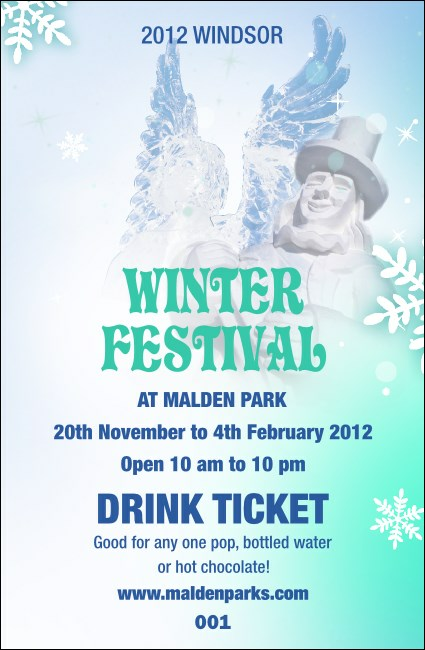 These tickets feature a smiling snowman and a majestic ice angel with extended wings, framed by falling snowflakes. Let TicketPrinting.com help make your event warm and welcoming!